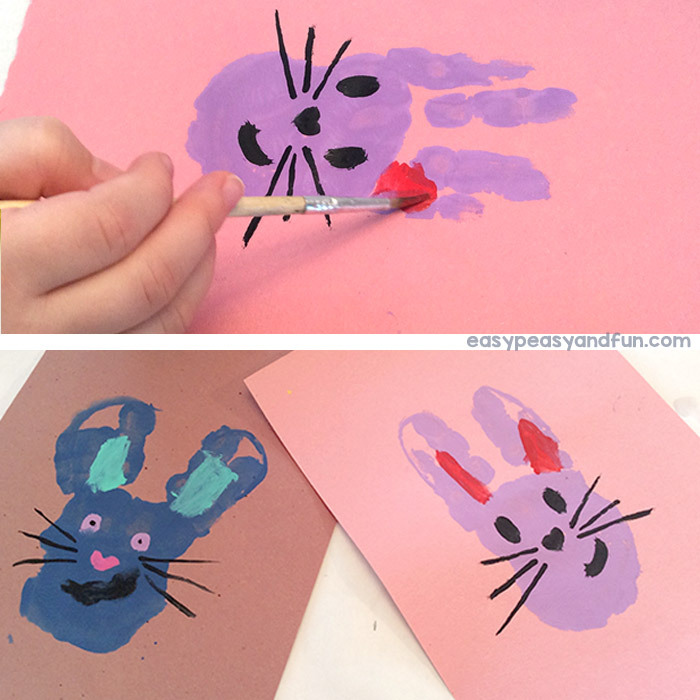 Have your kids or students make an adorable little Easter keepsake – let them paint their hands and make a bunny handprint art. 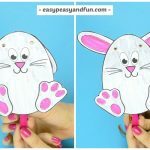 While older kids can already learn how to draw a bunny, younger kids can utilise one of the coolest brushes, their hands to make a perfect bunny (and a wonderful gift for parents or grandparents). 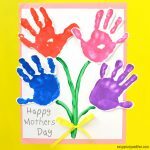 When it comes to making handprint art with younger toddlers, it’s mostly a adult led activity – it is wonderful for making keepsakes (you’ll be able to see the small handprint for years to come). 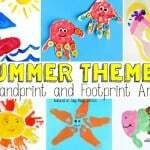 With older kids, hand-printing can most certainly be kid led and as it has a decent “messiness” factor to it, it can be an engaging activity. 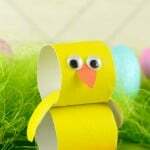 This Easter art idea can be great as a classroom activity, as it’s low prep and if the hands are pressed on the cards, these can make the most wonderful DIY Easter cards to send home to parents. 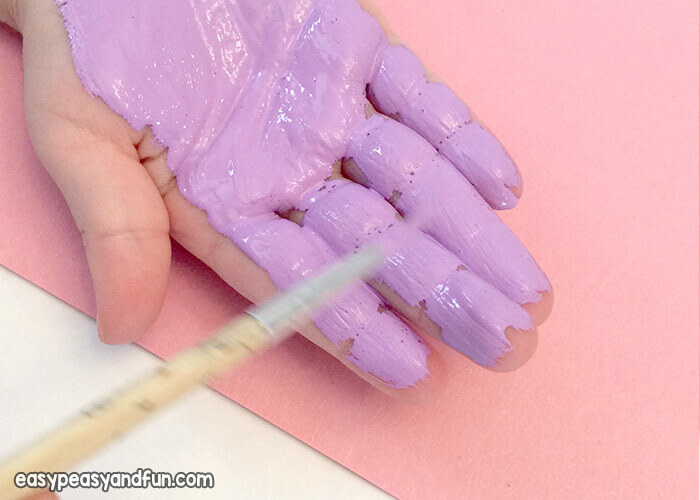 Squeeze or add a bit of paint on the hand. 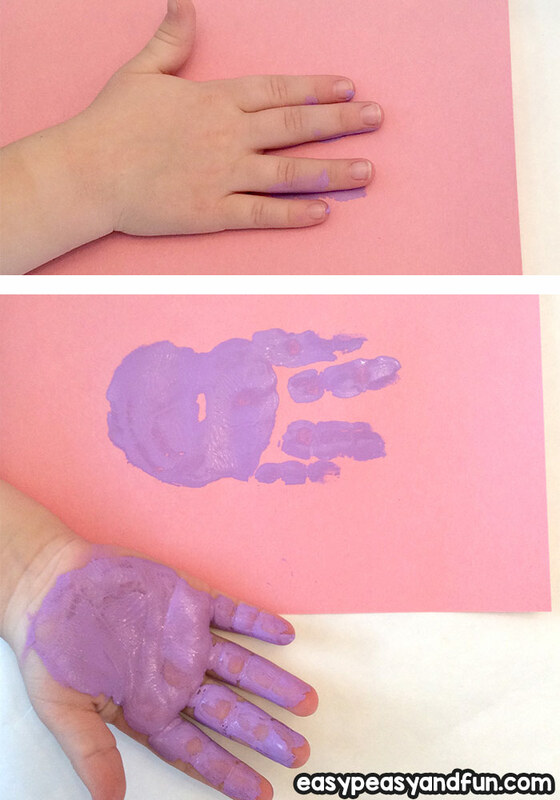 You can also squeeze the paint onto a palette and have the child paint their hand with a brush. Paint only the palm and fingers of one hand, leaving the thumb unpainted. 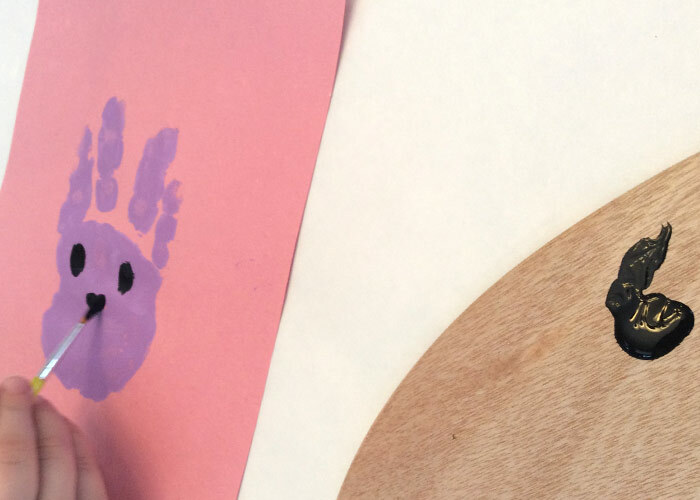 Press the palm onto paper, separating the middle and ring fingers to make the bunny’s ears apart. 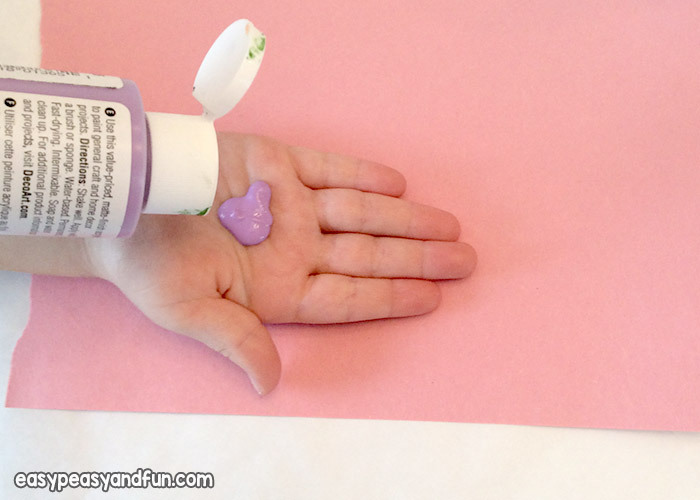 Slowly and carefully lift the painted hand off the paper. 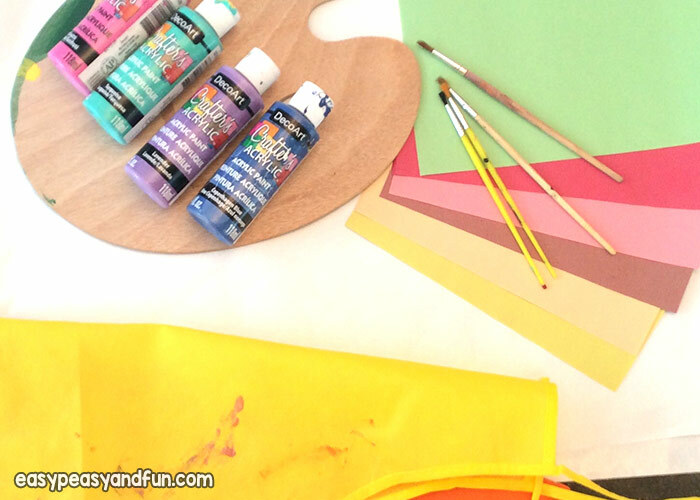 Time to decorate! Paint the ears. 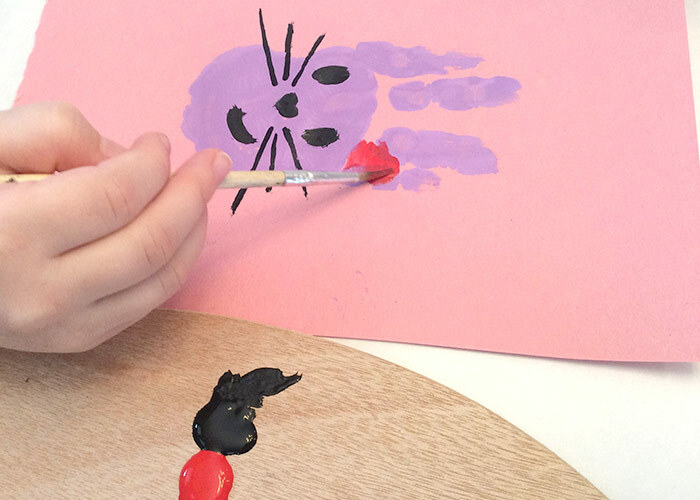 For the facial features kids can either use a paintbrush or a black marker, whichever they find easier. 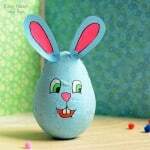 Draw the eyes, nose, whiskers and mouth. Bunny teeth too if you like! Thanks a bunch for the idea and the templates! 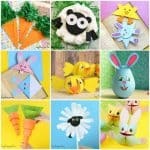 Have a beautiful day and a great sharing Easter!